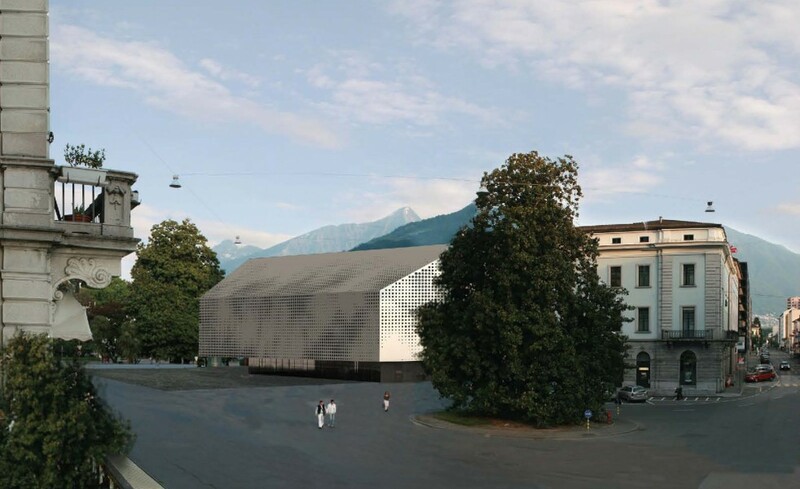 Project by Till Thomschke: exterior view. Project by Till Thomschke: model. 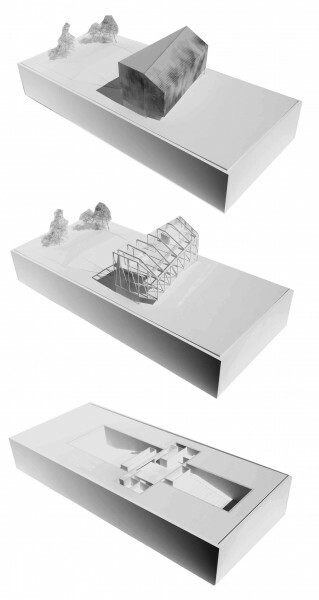 Project by Till Thomschke: section. 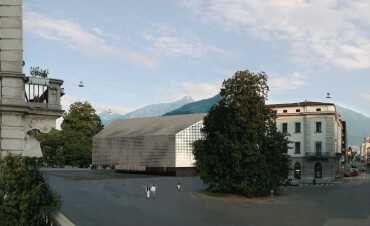 Locarno's public park in the city centre is one of its main open spaces, establishing a relationship on one hand, between the old town and the XIXth century city extension in the Maggia's delta and on the other, between the Lago Maiore and the Piazza Grande, the main location of the Locarno Film festival. The project adopts in this site what might be called an iceberg strategy. The black boxes of the cinemas are located underground whilst a small volume hosting the public functions is located above. The intention is to minimize the building footprint on the site, creating a new public space with a double character. In front of the building, a public square connected with the Piazza Grande and defining the entrance to the Cineteca. 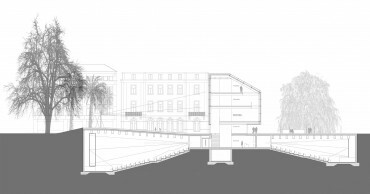 On the rear side, a more protected space, an open air cinema in a garden, keeping the existing trees on the backside of the plot and using the rear façade of the building as a cinema screen.